 Can six little geese create a Christmas miracle? Initially brought together by the children, Monica and Luke quickly surrender to their growing passion. But when she learns about the threatened adoption, Monica wonders if Luke’s interest in her is only as a mother to his children. 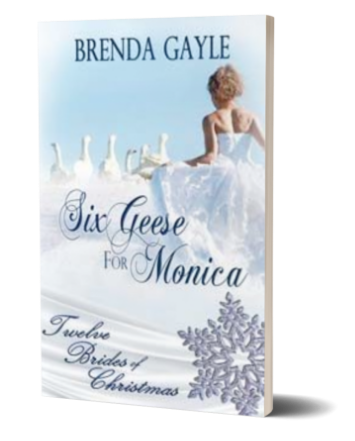 Is history about to repeat itself, or will a Christmas miracle finally give Monica the family she’s always dreamed of having? Monica allowed the music to move through her as she and Luke danced through Culture Club, Olivia Newton-John’s “Physical,” and Hall and Oates’ “Maneater.” She hadn’t heard this music in years and it brought back feelings of being young and free, and a sense of the wild abandon she’d experienced on the high school dance floor. The mood shifted as the attic filled with the first strains of “Sailing” by Christopher Cross. That, too, brought back high school memories of those awkward moments when you didn’t know if the boy you were dancing with was willing to slow dance with you or if he was going to abandon you on the dance floor. Luke didn’t hesitate. He wrapped both arms around her waist as if it was the most natural thing in the world. She reached up to encircle his neck, and rested her head against his chest. She could hear his heart beating, steady and firm. He was steady and firm. He smelled wonderful, a mixture of his woodsy aftershave with the softly sweet scent of the soap used by both him and his children. He was a good dancer, his moves confident and clear. It was obviously something he’d done a lot of. Jeff hadn’t liked to dance—typical jock—and she’d missed it during their time together—and after. How long since she’d been held on a dance floor? Or not on the dance floor, for that matter? A good dancer. A good husband. A good father. Why couldn’t she have met Luke, or someone like him, twenty years ago?